The Dictionary calls the Hearth the “Symbol of One’s Home.” That’s one definition – it’s also, more directly, the floor of the fireplace. I wanted to see lots of fireplaces for Week 4 because I LOVE looking at fireplaces, but I also know that some houses don’t have fireplaces, or wood stoves. So, hearth can be taken creatively! Show us the symbol of your home! 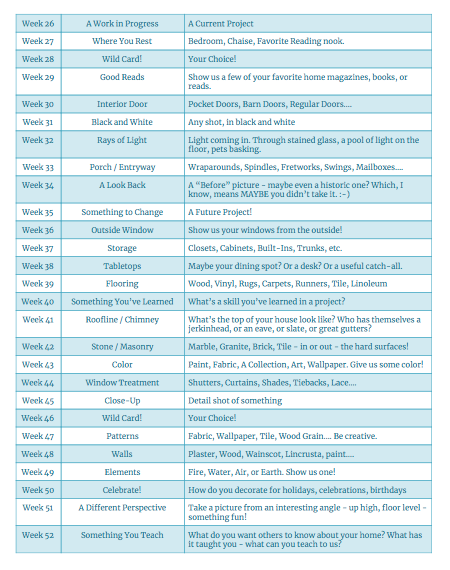 Week Four is all about the Hearth – whether that’s literal, or figurative. 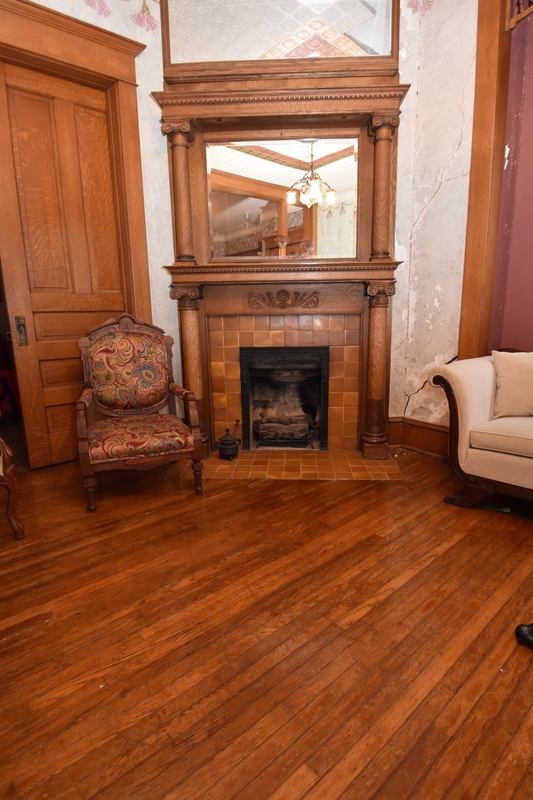 In the Victorian Era, the fireplace was where families gathered and kept warm – maybe playing games, or reading. 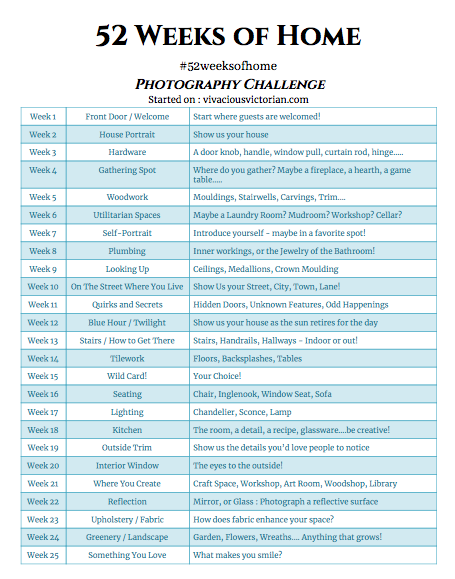 So for this week’s photo challenge, show us what that means to you! Where is your gathering spot – the symbol of your home? 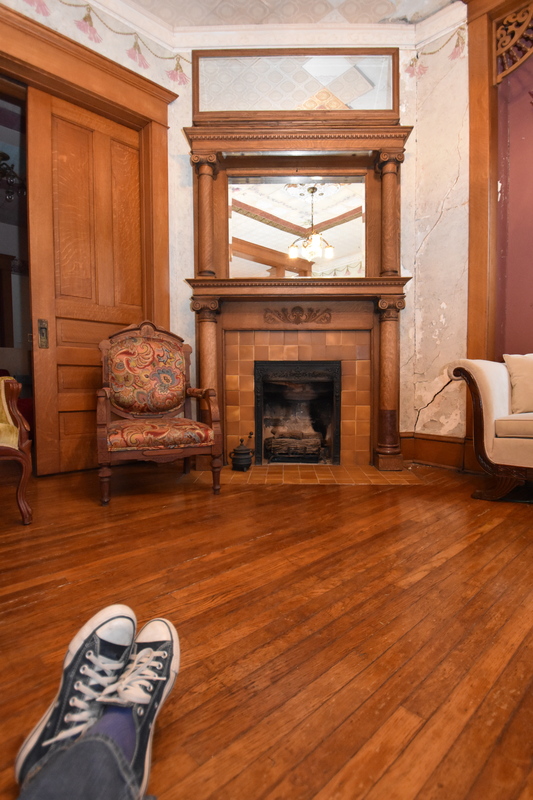 We only have one fireplace – and it’s in our totally un-touched and not decorated at all parlor. 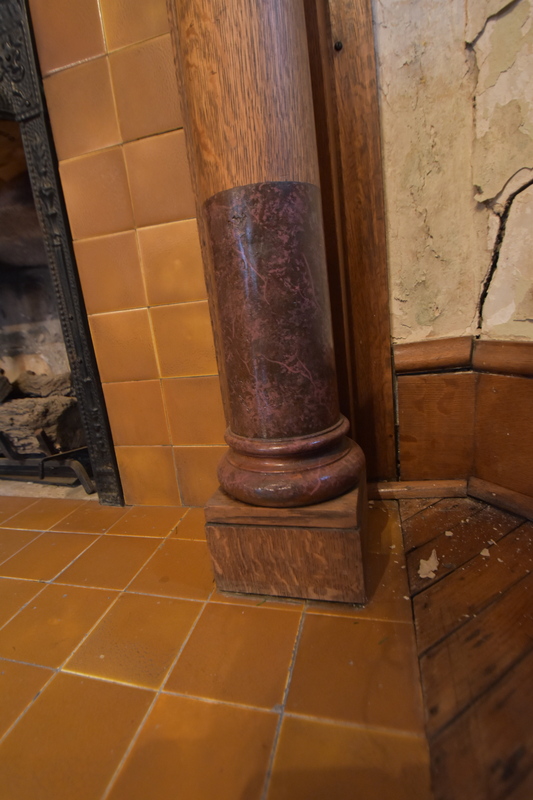 We’ve been told – and there’s evidence in the basement to back this up – that this fireplace had a twin, on the opposite corner of the next room (the Library). We hope to add a fireplace back into that space in the next couple of years! And, I’m thinking about putting one in the master bathroom, as well. Which sounds ridiculous, but it could be really neat. And there are some questions. Like – clearly, this upper mirror is not original. Why is it there? It sits in the corner of the room, fulfilling two of my favorite things – fireplaces, and rooms that aren’t square. Also, I am SO excited to get my hands on this room someday. It is screaming for some love. The fireplace is functional – it’s been converted to gas. And though it works, and we’ve had a chimney sweep out who said the chimney and fireplace are in great condition, currently it’s out of commission because the gas valve is stuck. So, it’s on the list to fix. 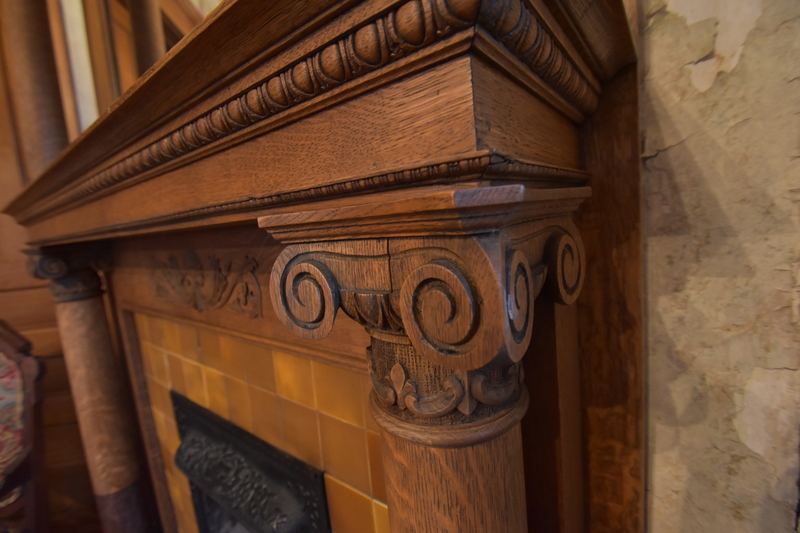 The columns and woodwork have some gorgeous detail! The tile is questionable. We’ve had several people tell us that they don’t think it’s original. And I’m not sure, but I want to believe them because it’s not very attractive and if it’s not original, I won’t feel bad about replacing it. I do love the cast iron surround. “Replace it? With What?” You ask. Well, at our local salvage yard, they had some gorgeous teal tiles, depicting the 4 seasons. And anyone who knows me, knows that while I love winter the BEST, I really love all 4 seasons, and love living in the Midwest for that reason. And I fell in love with the tile – and then found out it was taken out of a house ON MY STREET. So, I’m putting it back on my street. It’s just such a weird brown. Like, diarrhea brown. Gross. At some point, someone did a faux-stone finish on the bottom of the fireplace. It’s well done, but probably not original. We won’t be touching it, though, because it’s in really good shape! Not in good shape? The walls. This was one of the spots that had bad water damage from the years that the house was abandoned and foreclosed. The room above it is even worse. 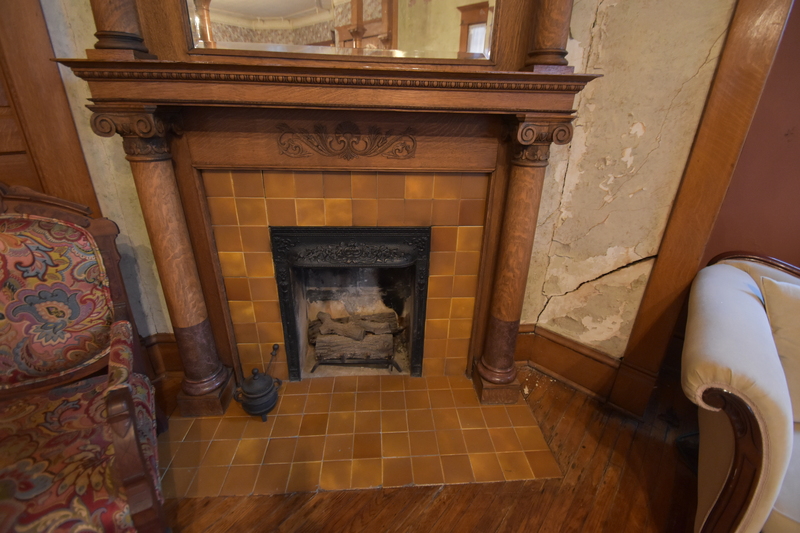 When we get to restoring this room, we’ll take the fireplace completely off, and after the heart palpitations that will cause, we’ll repair the plaster, and re-install the fireplace with the “new” tile. Love, love, love your fireplace surround!!!! 17 years ago I rescued an 1890 surround, very similar to yours, from a Chicago salvage yard, spent 2.5 years removing multiple coats of paint :(, and had it installed around a new gas fireplace in our 1920s bungalow. Only enjoyed it for 3 years and then fell in love with our present home (an 1855 farmhouse with NO fireplaces!) but couldn’t leave the surround behind, so it moved with us! 10 years later it’s still waiting for a permanent home. It has earned a spot as a focal point, leaning against the wall, used for Christmas stockings and decorative accessories. Some day the plan is to replace a large picture window (totally inappropriate to the age of the house)and we can relax and warm our toes by the fire. The tiles MIGHT be original. They might not be. But I would urge caution about replacing them until you can confirm the latter. My guess is that they ARE original. 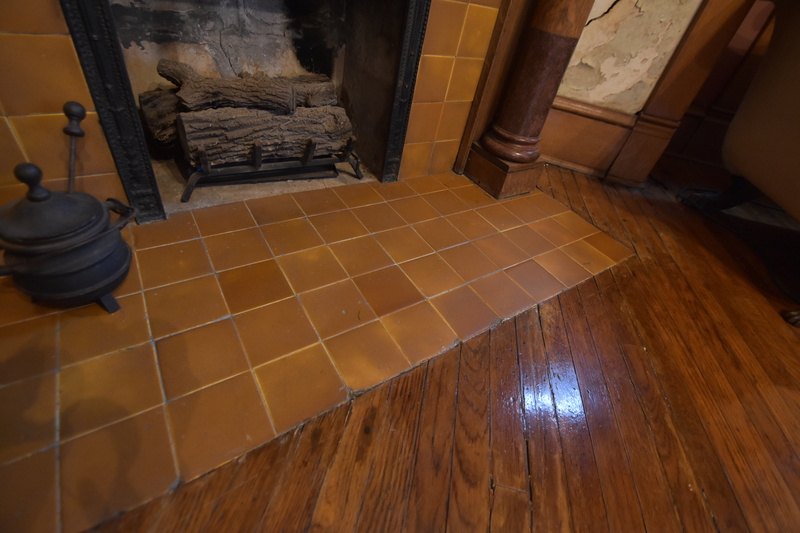 If your house were ten years earlier, the tiles would certainly be more…decorative. I am also DYING to know: what is behind the mirror?????????? So – how do I know if they are original? The only thing I’ve done so far is talk to historic preservationists who are way smarter than me, and they’ve all said they don’t think they are. And sadly, after all the searching on the planet, I have no interior pictures. Is there some other way to confirm? I’d adore knowing. 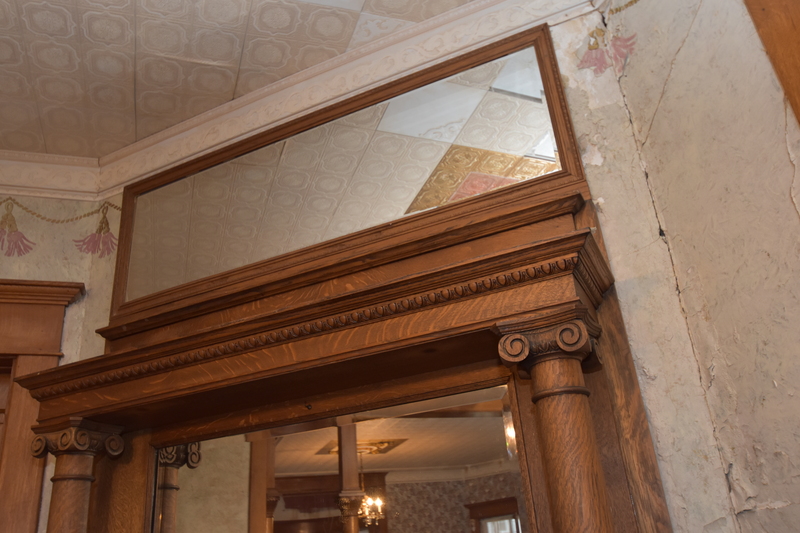 And yes – I am dying to know what’s behind the mirror, too! 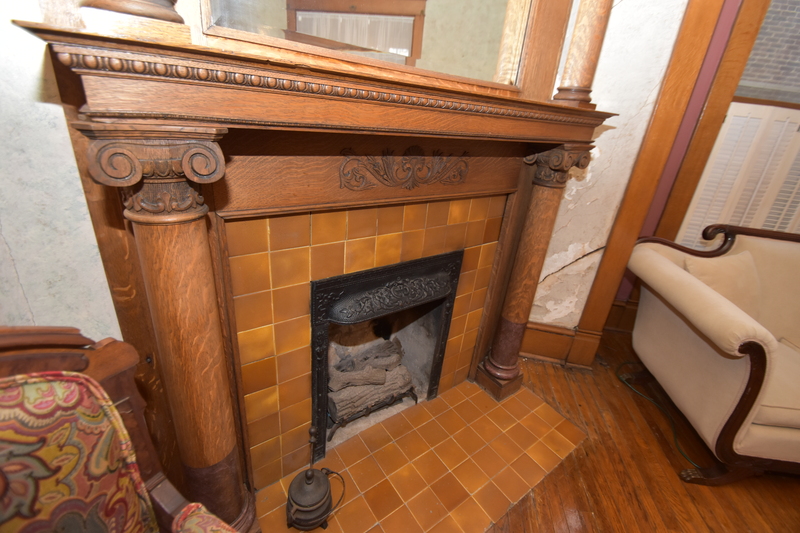 Unless you find a 1902 archival image of the mantel, there may be no way to confirm/deny the originality of the tiles. That the tiles FIT so perfectly makes them seem original to me. The color also complements the mantel perfectly. And I imagine, too, the original finish of the cast-iron fire surround. I have looked at mantel catalogs of the era and 4×4 plain tiles were shown. Again, if your house were from 1892, I would expect fancier tiles. But 1902? They seem right to me. 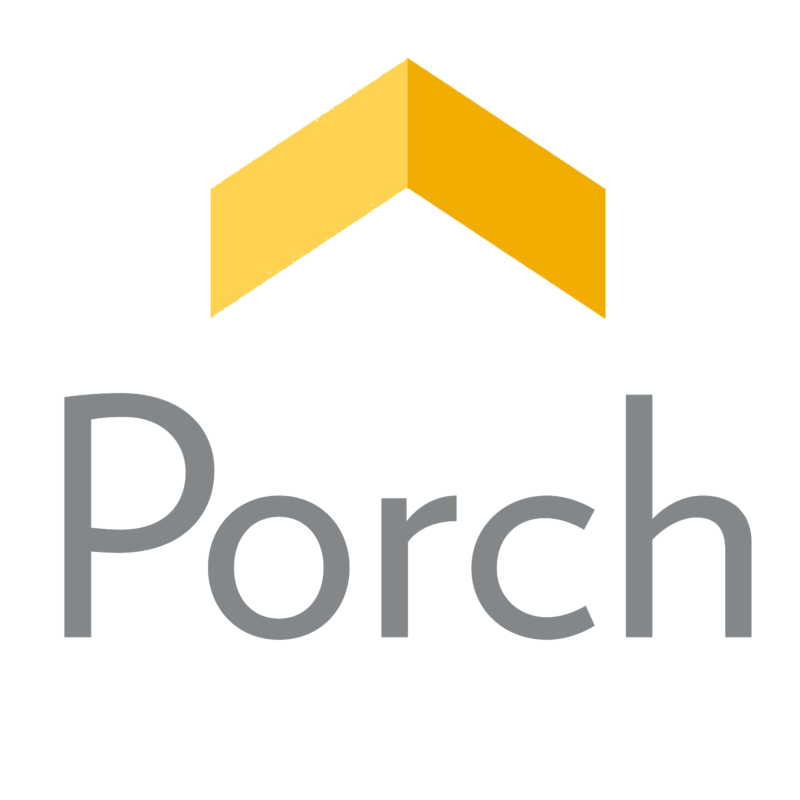 As you know, your original front porch was VERY simple. So, why not your tiles, as well? The architect of the house was clearly going for a “modern” look! 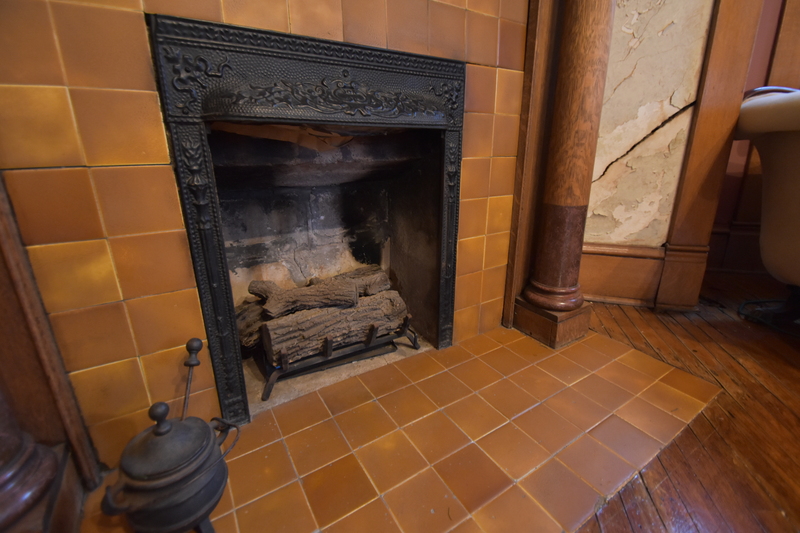 And the library mantel has — drum roll, please — plain 4×4 brown tiles! And there is ZERO question that they are original, as they exactly complement the figural inset tiles. So, the next time a historic preservationist tells you your tiles cannot be original, send them to my house! While a bit later than your house, note pages 12 – 16. The tiles shown are similar to your tiles. Thanks, Ross! I’ve not had a moment to look at any of this since you’ve sent it – I’ll be pouring over it, and I appreciate all of it! If they ARE original, part of me will be sad. Because I truly don’t like them at all. Ugh. I’m looking through the catalogues you’ve sent – which are amazing!!!!!!!!!!!!!! – and they make me feel even more that they aren’t original. (I PROMISE, it’s not just because they’re ugly.) The tiles in the catalogues, like your tiles in your library, have such depth to them. Mine are completely dull and void of any visual texture. They are completely flat. When I’ve looked, they seems to be more in keeping with tiles I’ve found form the 40s and 50s. So, I think what I’ll do is make some contacts at some historic tile places, and see if there’s a way we can date them properly. 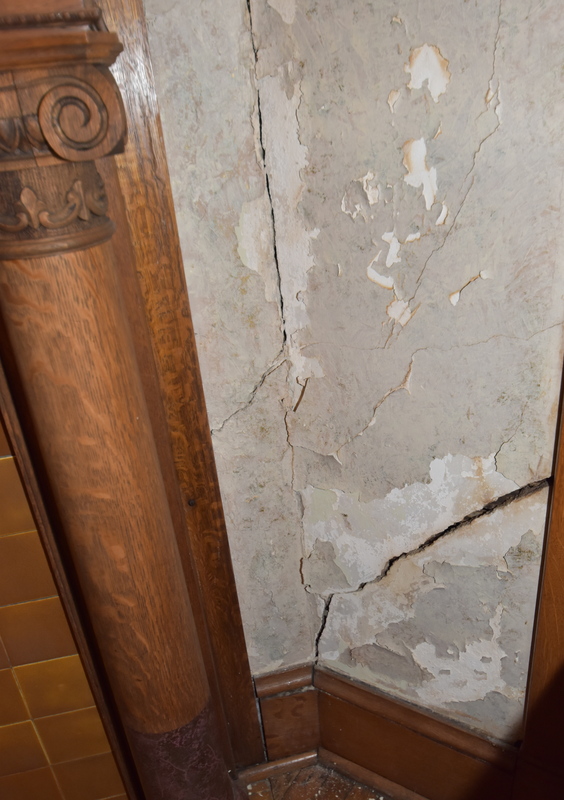 Also, so many of them are chipped – I’m wondering if something might come loose when we remove the mantle to repair the wall damage behind it. Often, tiles will be dates on the back, so maybe I’ll be lucky! I can’t even handle how much I love that catalogue from VCU! Wow. Patterns for days! You know the way to my heart. Glad you are enjoying the catalogs! I am confused. Your tiles look just like my library tiles: rich with variegated tonal coloring. Hi Amy… I’m replying to your comment below (1/31/18 at 5:45 pm) here because there is no “reply” option visible below it. I’d like to assure you that matte finishes were available when your house was built – they were not invented in the 40’s and 50’s. The existing grout between the tiles is also a clue as to the advanced age of these tiles. I understand that the existing tiles are not to your taste and that’s fine. If your are determined to install something different, please consider installing your new tiles on top of your old ones so that the existing ones are not destroyed. Some future homeowner may think the tiles you will install are hideous and be delighted to discover the ones below. History is comprised of many layers; we can learn nothing from it if the slate is continually being wiped clean. If you would like to know more about how to get the look you want without destroying the existing tiles, please email me. I have no expertise at all, but when I saw the tiles, my antiques antenna whispered “original.” Can’t tell you why. They aren’t pretty, and maybe that’s why. 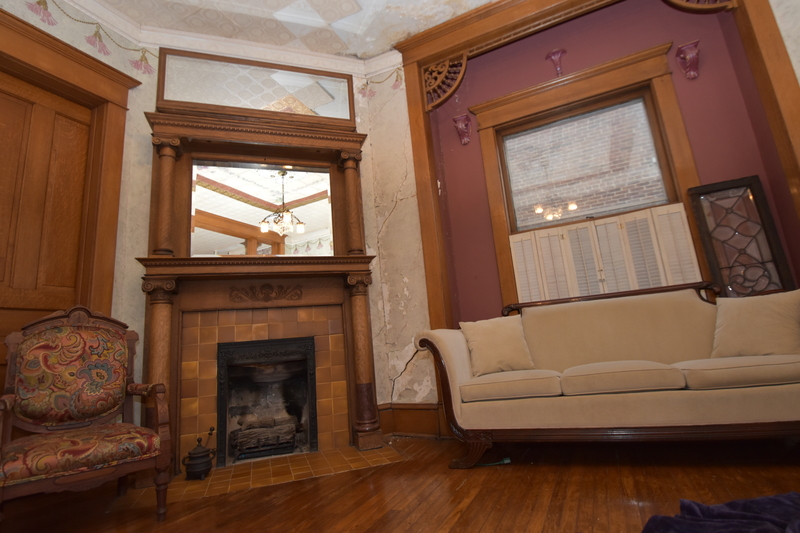 But the mantel and overmantel … wow! Thanks, Deb! I’m certainly trying to figure it all out, and I love having input! I also believe that your tiles are likely original to your house. Most people associate this type of mantelpiece with the small, brick-like, tiles which were so prevalent c. 1900; it is therefore easy for them to dismiss anything else as a replacement. Unless the historic preservationists you’ve spoken with have been at it for 40 years or more, it’s not likely that they have had the opportunity to experience the astonishing variety of combinations that were, in fact, used at the time. The past was more varied than we sometimes allow it and our universities can only convey so much; it takes a lifetime to just begin to attempt to fill in the gaps. When you think you’ve seen it all… you haven’t. I’m sure that’s true! We’ve just had scads of people – of all levels of experience – through the house at various points of the restoration, and they’ve all looked and said the same thing. What I’d give for interior pictures!!! In reading your comments, you seem eager to replace the tiles with something more decorative. If you do remove them, place them in a box, with an explanatory note, and put them in the basement or attic. A later owner will perhaps be THRILLED to find them! And may re-install them! This took quite a turn! I certainly never said I wanted to remove something original to the house – I’ve put my heart and soul (and every ounce of money) into saving this house, and there are tears in my eyes right now reading that anyone would think that I would discard anything that belongs to it. I’m sure it won’t be the last time I’ve cried reading comments, but this was certainly the first. I only said that in the years that I’ve been researching and asking every expert I know – and I realize I’m young and don’t know everyone, or anything, but I try always to get so many opinions – but I’ve worked so hard to pay homage to this home, and I feel like because I said I didn’t like the tiles, automatically I’ve been put into the category of someone who rips things out to appease the masses. That is so, so not who I am. After both Ross and Eric’s comments, I said that I was going to continue to research and find out what I can, and that I appreciated the new information – which I do! And the replies back made me feel as though I said I was going to destroy what I have. I mean, anyone who has read my blog knows the lengths I have gone to, in preserving the writings on the walls, and wallpaper samples, and everything that we have for future owners. I promise, I am trying to be a good steward to this house. I am utterly heartbroken that anyone would think otherwise, and sobbing at my screen. This took quite a turn! I certainly never said I wanted to remove something original to the house – I’ve put my heart and soul (and every ounce of money) into saving this house, and there are tears in my eyes right now reading that anyone would think that I would discard anything that belongs to it. I’m sure it won’t be the last time I’ve cried reading comments, but this was certainly the first. I only said that in the years that I’ve been researching and asking every expert I know – and I realize I’m young and don’t know everyone, or everything, but I try always to get so many opinions – but I’ve worked so hard to pay homage to this home, and I feel like because I said I didn’t like the tiles, automatically I’ve been put into the category of someone who rips things out to appease the masses. That is so, so not who I am. After both Ross and Eric’s comments, I said that I was going to continue to research and find out what I can, and that I appreciated the new information – which I do! And the replies back made me feel as though I said I was going to destroy what I have. I mean, anyone who has read my blog knows the lengths I have gone to, in preserving the writings on the walls, and wallpaper samples, and everything that we have for future owners. I interpreted that as meaning that the tiles were slated for replacement and that you would only feel bad about the decision if it were determined that the tiles were original (versus no guilt at all if the tiles were not original). Forgive me, but how else am I to interpret that? Semantics can cause so much confusion; I apologize sincerely for heartbreak rendered. As you continue your research, I am confident that you will find the tiles are original to the house. I am equally confident that – with time – you will grow to love them. I look forward to reading about it! No more tears! Your house needs you. Hi, I really really adore the fireplace. Like you, I’m not a fan of the tiles but If you want so badly to save this place, better leave the tiles for now and do the rest. Anytime sooner or later you’ll find the right solution to this problem. P.S. They are not that bad as you think!